I am not sure the question of 2 wheels vs. 3 was answered. Most of the links don't work on this resurrected thread from 05! I think that 2 wheels would work, sailboards have no keel to speak of, so the riders steers the board to make the thrust vectors aligning to go the path they choose. I do not think the side thrusts would be too great, bike would lean strongly into a wind, but the wind would be pushing, so the main thrust vector is close to aligned with the wheel. Each time I've done long distance (Canada to Mx) rides, I've thought about this "sail" idea. I'm not an engineer, but my concept is to use the wind only when its coming from the rearward direction. The mechanism I have in mind would resemble half of an umbrella when open. Some configuration of strong light fabric attached to lightweight "stays". It would require an easily accessible lever(?) located on the top post or seat post to instantly open to take advantage of the wind, or close the sail, so as not to fight a headwind. I'm not sold on a sail attached to the front set of the bike, and rising like on a sail boat. My gut sez visibility issues, sideways tipping forces, etc While these issues may not be a problem for three wheelers on ice or sand with plenty of maneuvering room, traveling on the side of the road is hazardous enough without adding to it... (but then again, I'm not an engineer) Just a thought. Trikes are the thing with a mast sail, or a Kite Tow..
we have 3 wheelers and para sails here.., Oregon's beaches thanks to foresight by Past Governments are Public. Last edited by fietsbob; 05-12-16 at 08:28 PM. speeds of 30 mph? Maybe I'm misunderstanding sailing, but in my mind, it would be much harder to go 30mph unless the wind was going that fast as well. Sailing isn't like an electric motor. It doesn't help you go faster, it just helps you more closely match the speed of the wind. Counter intuitively, sailboats sail faster into the wind than with it, and can exceed wind speed under certain conditions. But they're limited in terms of angle and cannot sail closer than about 40° into the wind, with the fastest angle about 55-60° off the bow. The reason you go faster upwind than down is that when sailing upwind, as you pick up speed you add to the wind speed, and get more power whereas when going downwind, you lose tailwind and power as you go faster. BTW- Iceboats can hit speeds of well over 100mph in 20-25mph winds, with records of roughly 7x the wind speed. Some years back people built sail trikes based on the design of iceboats. Sail bikes can really fly, buy they need large open spaces to operate in. The problem with sail bikes is that they're limited to following roads which might turn directly into the wind putting the sailbike "in irons". Last edited by FBinNY; 01-02-13 at 05:37 PM. Holy zombie thread. This thread was started before they had internal combustion engines, I think. Wow. 2004-2013, could this be a new record?, and not that many posts. I've tried the Whike at a past SPEZI special bikes show in Germany. Was actually impressed when it got underway with a crosswind on the test track. From the picture of bike above, I think it can exercise the ham muscle fully. When I was 11 or 12, I put a sail made out of a piece of plastic on my bike. It didn't go well, but I did appreciate the immediate feedback. The whole idea is so cool! Not real handy for the el cheapo rider to get into, though. At least if the wind will not blow, you still have your pedals. Sail bike has a standard 1.6 m[SUP]2[/SUP] sail and can reach speeds up to 50 km/h ( 31 mph ) with wind speeds of 4-5 bft (13-24 mph ). It can be legally used on both bike lanes and streets in the Netherlands and UK. Activating the front brake releases the sail's spinlock, assuring there will be no more wind-propulsion.The Whike features a three piece aluminium mast that can be stowed away on board when not needed. It is also equipped with 18 gears and the front sprockets are custom made for the Whike. To maintain safe and responsive stopping the trike is fitted with disk brakes on all wheels. The cycle also has a handbrake function to prevent it sailing away while without rider. The frame is available in black or white chromium molybdenum alloy steel, other colours are possible for an additional €100. The Whike weighs 23 kgs including the sail and can carry a maximum weight of 115 kgs including luggage. The sail also has the advantage of aiding visibility of the cycle on the roads. i think its called knots when your referring to speed while sailing not mph or kms for wind power. Not quite. knots are nautical miles per hour. A nautical mile is 1.15 (land) miles, so a knot = 1.15mph. The issue isn't the power source (sail, wind) but whether you're in a boat at sea. And yet airplanes also use the term "knot" when referring to wind speed and air speed... so indeed the term is NOT limited to water based craft. The nautical mile is the key here... and the key is that a "nautical mile" is roughly equivalent to one minute of arc of latitude. The nautical mile remains in use by sea and air navigators worldwide because of its convenience when working with charts. Last edited by roadrecumbent; 12-10-13 at 05:43 PM. If you lived in a European mobile home community, you can buy multiple gopro cameras and this wind chaser! Last edited by oddjob2; 12-13-13 at 09:24 AM. I guess I'm reviving the thread. Can we just ignore for a second, the sideways force and pretend that tipping over on a 2-wheel bicycle is a non issue. Is it at all possible, then, to have a sail on your basic 2-wheel bicycle that can go against the wind? That's the most practical reason - to go against the wind with ease. If you have your basic mountain bike with a milk crate at the back (mine). Is it possible to steer your handlebars with 1 hand and have a sail attached at the back with a handle of sorts to steer the sail with the other hand? Any time that wind is annoying for me, it's a constant wind. Wind gusts from 0-30 MPH don't really happen... it's usually a constant amount that I'd like to go against. - What would the sail look like/weigh if at the back of a bike? - Is it even possible to go completely straight? I thought I read that sailboats that go against the wind have to go on an angle and then shift their sails to go on an angle the opposite way. If a 2-wheel bike can't go straight then this whole idea is moot. It's possible to sail into the wind at about a 45° off directly into it. As you point out sailboats, do so to sail upwind, then tack 90° so they're sailing up wind in the other direction, and by this zigzag method can work their way up wind. Ice boats use the same principle, and are so efficient that they can move at as much as 7 times the wind speed, and point upwards at much smaller angles to the wind than sailboats because their blades bite the ice and don't slide sideways (leeway). Iceboat speeds well in excess of 100mph are very common. So, in principle, nothing stops you from doing something similar with a bike, though as a practical matter, you'd need a trike to keep from blowing over. Wind land cruisers already exist, but maneuvering space requirements pretty much limit them to things like salt flats, airport runways, or huge parking lots. If shopping malls weren't open 7 days per week, they'd make great venues for land cruiser races, where the goal would be to go all the way around the structure on the surrounding parking lot. You need LOTS OF SPACE for manouvering. Do NOT attempt this on a road where there are cars! You also need an INSTANT-disconnect for the sail lines so that you can release the sail if things get hairy or speed gets too high. You also need to be able to see all around you in order to avoid obstacles. I'd use a clear material for any sail. probably the most practical option would be a vertical wind turbine with a chain drive, mounted behind the rear wheel. it's low to the ground so it won't tip you over as easily, you can adjust the speed/torque and it works no matter which direction you or the wind is going. I am currently building my 4th tadpole sail trike. 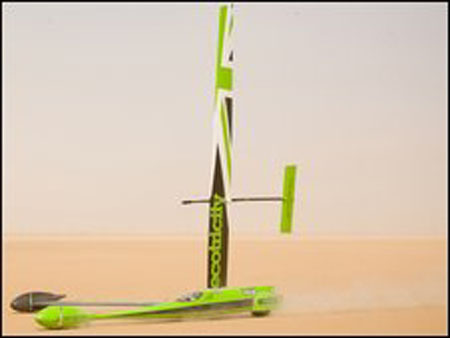 The first started out as a sail quad, but soon was adapted to a trike. My 2017 Tadpole sail trike will feature a Sturmey Archer 8 speed IGH C/w with 70mm drum brake to match the front SA hubs with 70mm drum brakes I have used for the previous 3 years. Last edited by Gareth; 03-06-17 at 01:37 AM. Kite pulled 3 wheelers are a rental option to use on the Oregon Coast beaches. No mention of the faster than the wind propeller driven wind vehicles? This Greenbird is interesting. Apparently reaching 126 MPH in 40 MPH crosswinds.